Laidback and friendly, Holland is the perfect place to get away from the everyday. Home to some of Europe's greatest museums and galleries, there's no shortage of ways to get a bit of a culture fix, whether you choose Amsterdam or Rotterdam. With tickets from as little as £49.50 one way* and trains leaving up to 10 times a day via Brussels, start your escape in London or Kent and arrive rested and raring to go, right in the heart of the city. 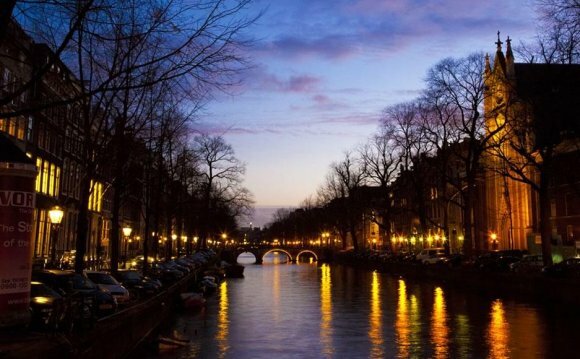 For the ultimate Dutch getaway, a holiday in Amsterdam is a must. With its spider's web of canals and bridges, it's a picturesque place for a freewheeling weekend of culture, festival fun, beer and pancakes, so get on your bike and ride some of the city's 400km of cycle paths. Rotterdam on the other hand is an ideal break for architecture afficionados with its ever-changing skyline and eclectic mix of old and new. Getting to the Netherlands by rail has never been easier. So sit back, relax and let us whisk you away. * Price based on a return journey and subject to availability at the time of booking. A £4 credit card fee may apply.